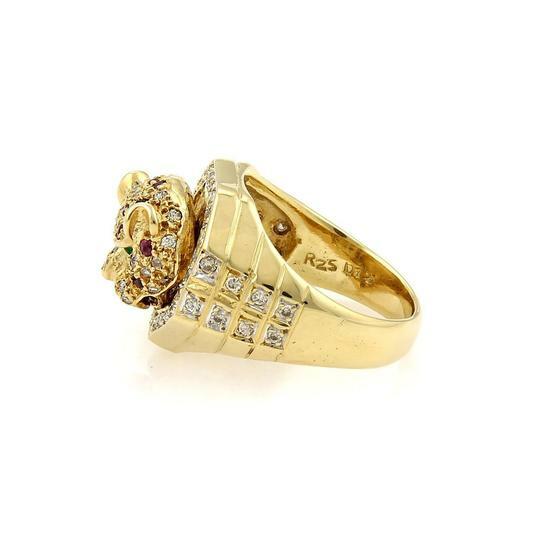 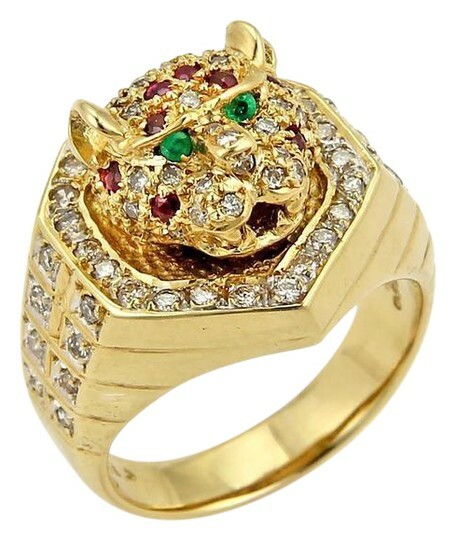 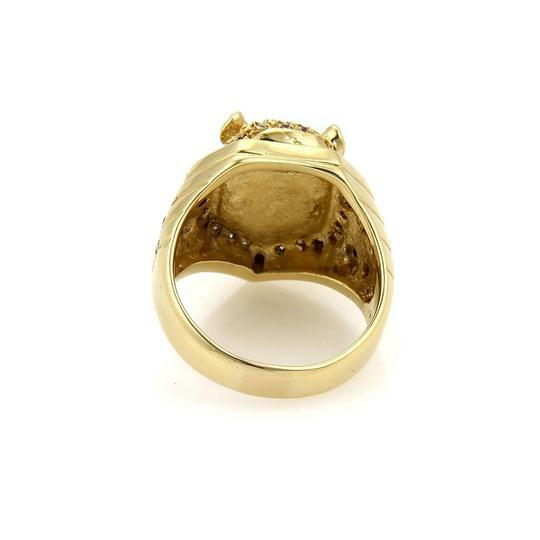 This is a magnificent Estate ring, it is crafted from solid 18k yellow gold with a high polished finish and features an octagon shape frame with a tiger's head in the center of the frame, the head moves and is adorned with rubies and diamond, its eyes are emerald gemstone. 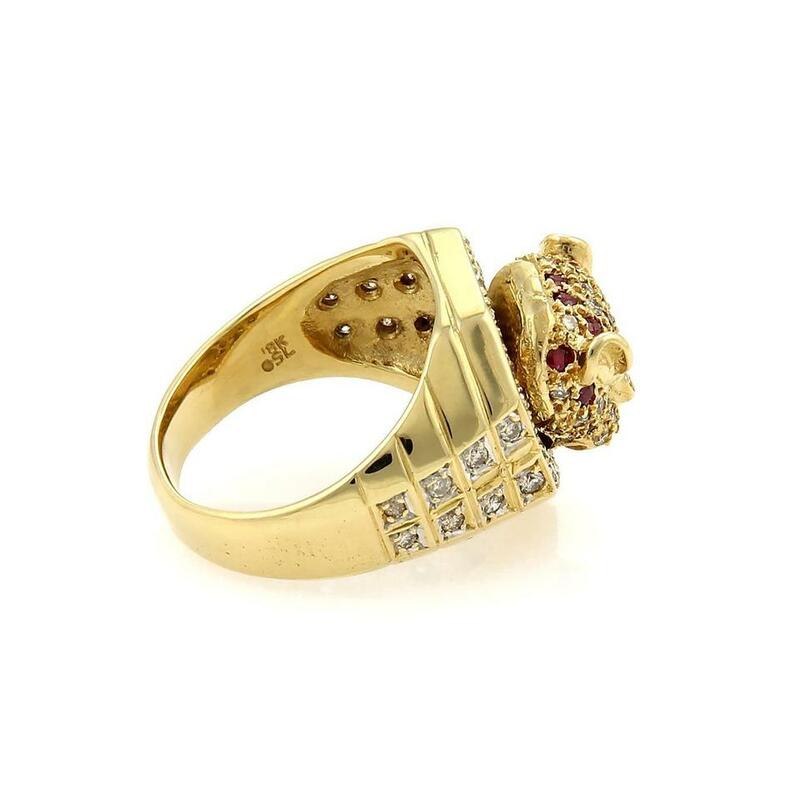 Around the base of the frame are round cut diamond and had wide shoulders also decorated with diamond. 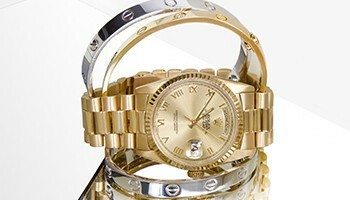 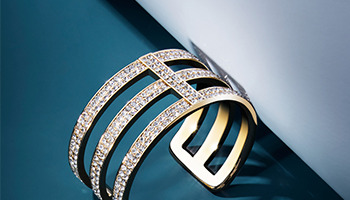 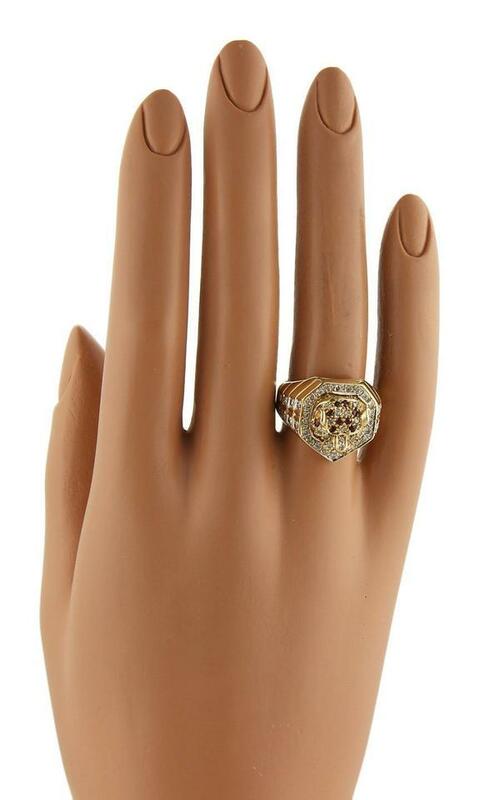 It is an impressive ring and will surely attrace attention.